Most of the time, people use the words ‘chlorine’ and ‘bleach’ interchangeably. However, these two concepts have a lot of differences between each other. Both chlorine and bleach exist in many forms. Chlorine can combine with other elements to produce new compounds, while bleach has varieties used as disinfectants. 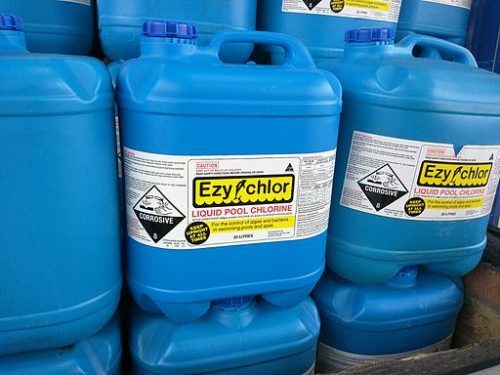 Additionally, both chlorine and bleach are utilized as cleaning solutions in many places such as swimming pools, houses, and many others. However, these terms are relative but not similar. The basic difference between chlorine and bleach is that chlorine is a natural element, while bleach is a solution of many elements. Moreover, chlorine occurs in nature as an essential part of plants and animals. It also can take shape in two states of matter – gas and liquid. Finally, the most important aspect – chlorine is an active ingredient and a major component in bleach. The main use of chlorine is as a disinfectant that can kill bacteria and algae in water. Usually, chlorine is used in swimming pools and water treatment plants to disinfect and clean the water for sanitation. Chlorine is also used as an agent to remove the color in paper and cloths. Chlorine is also used as one of the components in medicine. Among the illnesses that can be treated with prescription medication containing chlorine are: malaria, allergies, depression, diabetes, arthritis, heart disease, infections, hypertension, pneumonia, ulcers, whooping cough, typhoid fever, and leukemia. Medication like tranquilizers, painkillers, cold and allergy medications, and preventive drugs for tumors, convulsions, and enlargements are also made from chlorine. Another use of chlorine is in farming, where crop protection is often made with chlorine. A list of products made from chlorine includes bullet-resistant vests, computer hardware, silicon chips, and automotive parts. In the automotive industry, chlorine is one of the ingredients used to make nylon for car seat belts, air bags, bumpers, mats, vinyl upholstery, polyurethane seat cushions, fan and alternator belts, petrol additives, hoses, gaskets and seals, brakes and transmission fluids, anti-freeze, and dashboards. Chlorine is also used for creating plastics used in hardhats and PVC. Additionally, it can be used to make plumbing pipes, paint, nylon carpets, and a variety of products such as televisions and compact discs in addition to toiletries and cosmetics. Chlorine is available on the commercial market as cleaners in tablet or powder form. Bleach is, first and foremost, a solution and a product of chlorine and other elements like chlorine, sodium, hydrogen, oxygen, calcium, and many others. 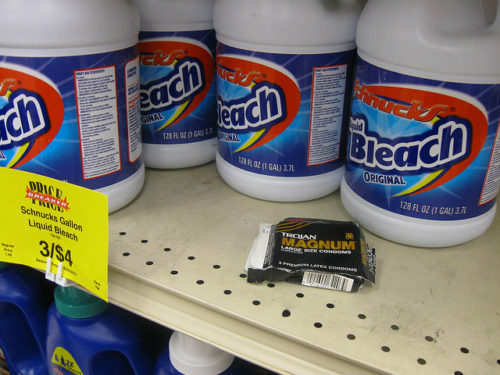 As a combination of these products, bleach retains some of the characteristics of its ingredients upon use. While bleach can act as a disinfectant and a household cleaner, it can also function as a whitening agent and a stain remover for laundry purposes. Other formulas of bleach are now used to whiten body parts like the hair, skin, and teeth for cosmetic purposes. Furthermore, bleach is also used for whitening flour and preserving dried fruit. Bleach is often packaged commercially as a liquid detergent or pure liquid concentrate. It can also be packaged as pre-made wash towels for use in the house. Alternative uses of bleach as a cleaning and whitening agent include polish for glassware as well as utilizing it as an agent to lengthen the lifespan of fresh-cut flowers. 1.Chlorine is a natural element and an ingredient of bleach, while bleach is a solution and the product of combining chlorine and other chemicals. 2.Chlorine exists in nature, while bleach is a manufactured product. 3.Chlorine is essential to life – mostly for plants and animals; bleach is not. 4.Chlorine exists in three forms: liquid and gas in its natural state, and solid in commercial purposes. Bleach exits in liquid form unless something solid is soaked in the solution. 5.Chlorine has many applications aside from being a cleaner, while bleach is mainly a cleaning agent. Celine. "Difference Between Chlorine and Bleach." DifferenceBetween.net. November 6, 2018 < http://www.differencebetween.net/science/health/difference-between-chlorine-and-bleach/ >.